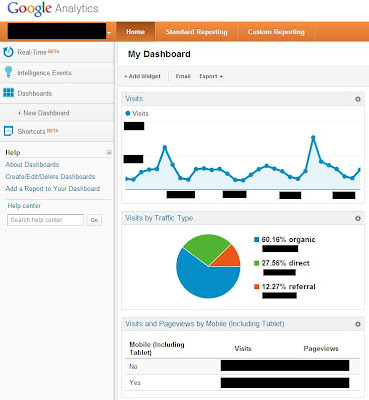 In Part 1 of Tracking your Success with Analytics we talked about how beneficial the Google Analytics tool is for measuring your site’s performance and how to set it up. Now that you have hopefully had a chance to click around the system a little, we will gain a better idea of what is going on and what will be important for you to learn. There are an abundance of options and statistics to look at, but chances are you won’t need most of these quite yet so don’t feel too overwhelmed! Below are some of the key metrics that will show up in the Standard Reporting ‘Overview’ section that you will get to know. Be sure to check the timeframe in the top right corner so that you’re getting the right dates you’re looking for. Visits - How many times people have come to the site. 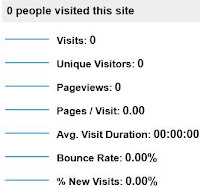 Unique Visitors - The number of individuals who visited the site. Pageviews – The amount of times people have viewed your site and its pages. Pages / Visit – The average amount of pages each of your visitors are viewing before leaving. % New Visits – The rate of visitors to the site who have not been there before. Avg. Visit Duration: The average amount of time people are spending on your pages before leaving. Bounce rate - The percentage of people who only viewed one page then left. It is common for a blog to have a high bounce rate as people generally read one article and exit. Exit rate – The percentage of people who have left a page without viewing further pages. It is recommended that you set up an alternate profile with a filter on it that will filter out visitors from your own company office. This way the results are not artificially inflated by staff looking at your website (especially if your initial traffic is slow and many changes are being made to your site). Another important practice is to set up goals for your website. When a goal is completed it is called a ‘conversion’. You have complete control over the goals on your website; however you do need to manually set them up. General goals may be a visitor purchasing an item, or visitors that have clicked through from the home page to the contact us page, or subscribing to a newsletter. Goals can be set up to be sequential where you can track the progress of every step of the goal, i.e. this could used to track the shopping cart system of a webpage and finding out at what part of the process people are abandoning their cart. There are many tutorial videos for Google Analytics available on the Conversion University youtube channel. 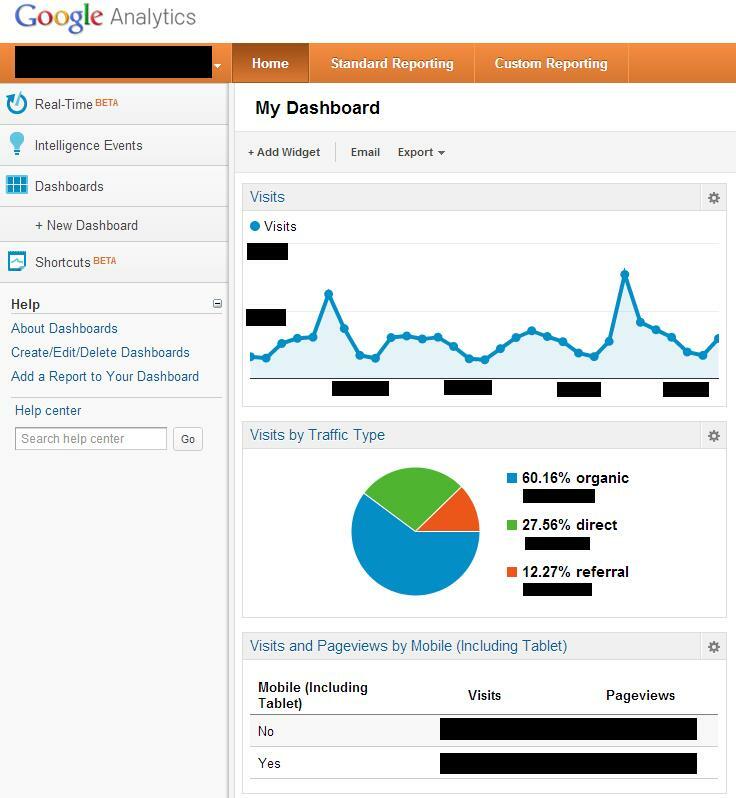 Google Analytics can also be integrated with Google Webmaster Tools, Google Adsense, and Google Adwords providing quality data across all platforms. When setting up goals, think about all the small steps and activities involved in leading to a positive outcome to your business. If it’s incoming phone calls, it may be an idea to set up those who click through to ‘contact us’ details as a goal, and give it a dollar value that you think reflects the average contribution it makes. Other goals that aren’t directly related to purchasing (such as an online cart system) include; clicking on email options, alerts and newsletter subscriptions, creating an online profile, viewing pricing details of certain services, and sharing content with other users. If you notice that the pages containing these conversions are receiving high bounce rates, it may mean that you could be more convincing and to the point in communicating the core benefits.